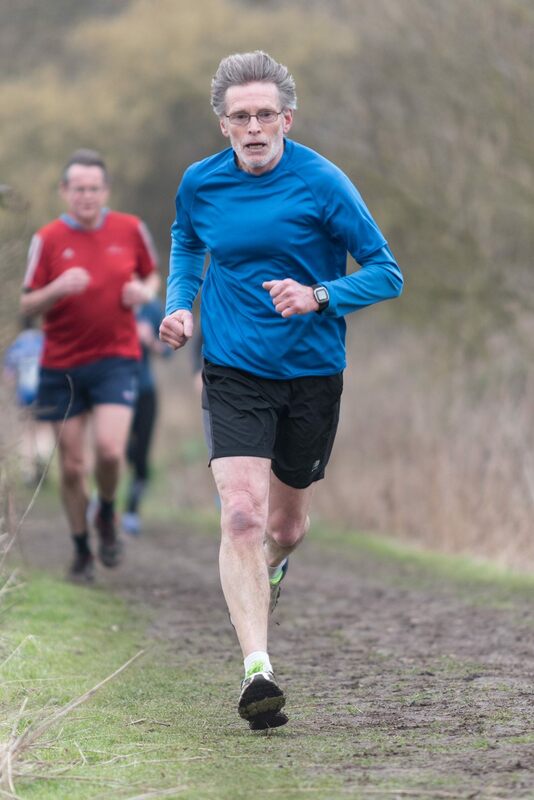 Not the most flattering picture of me running towards the finish line at Cambridge parkrun recently. But, on the positive side it does show me ahead of my arch rival Eric (in red). We are both running below par at the moment. I haven’t got a good excuse but Eric has. I hope he regains his previous level of running fitness and I hope I can keep up with him. Part of my problem is I’m running less and going to the gym more. My all round fitness has probably increased but at the cost of running speed. Not that this matters, of course. Speed is a false god ect,etc. Nevermind, I should be okay for the half marathon although my long runs peaked several weeks ago. I’m also booked for the Swavesey 5 miler later this month, the Cambourne 10k in April and Wings for Life in May (starts off in central Cambridge and the idea is to outrun a celebrity in a car). This was very enjoyable last year. Did around 7000 take part? Very nicely organised. Oh dear! 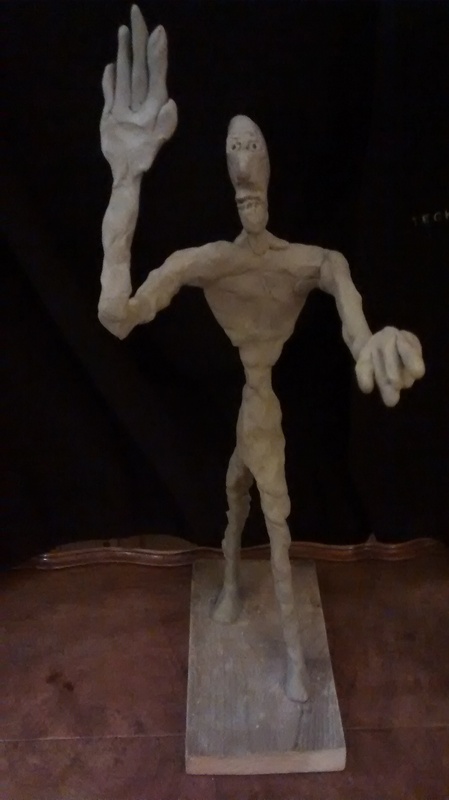 I seem to have taken up clay modelling. These are a couple of basic prototypes which are part finished. I’m afraid there’s going to be a lot like this and hopefully with more finesse. 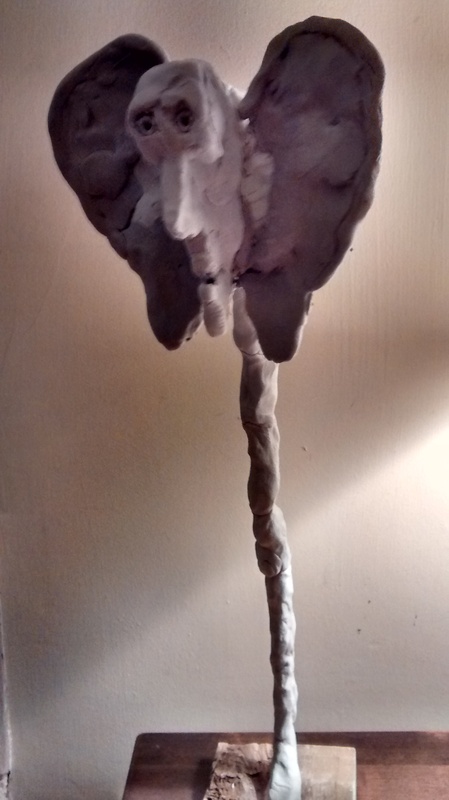 Interestingly, it has prompted a newfound fascination with wire (the armature within) and wood textures (for the base). I blame Kevin Spacey and the House of Cards series for Trump and his self serving, manpulative and fascist policies. We’re quietly working our way through th 50+ episodes on Netflix and there’s a fifth series starting in May. Kevin Spacey is excellent as the dangerous snake who becomes President and given that the series aired years before Trump was elected, there are some very eery parallels. He’s currently (Kevin) spending billions on creating jobs to ensure popularity and has excluded critical elements of the press from attending White House briefings. I’m certain Trump has devoured this series and has adopted Spacey’s President Frank Underwood as a positive role model. God help America! As I write, the House of Lords has just defeated the government over the rights of EU citizens. They’ve voted in favour of guaranteeing the rights of EU citizens living in the UK after Brexit. Wonderful. Unfortunately, it’s likely that the nasty Tories will be able to get a reversal at a later point. Arch nasty Tory Lord Norman Tebbit voted with his nasty party, of course and in his little Lord’s speech rhetorically asked why everyone was getting worked up over “foreigners.” This attitude sums up Tories in a nutshell!